Preparation Instructions: Keep frozen until ready to prepare. Defrost under refrigeration until fully thawed. Grill: Preheat grill to medium high heat. 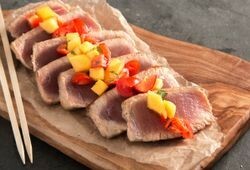 Lightly oil tuna steak and season as desired. 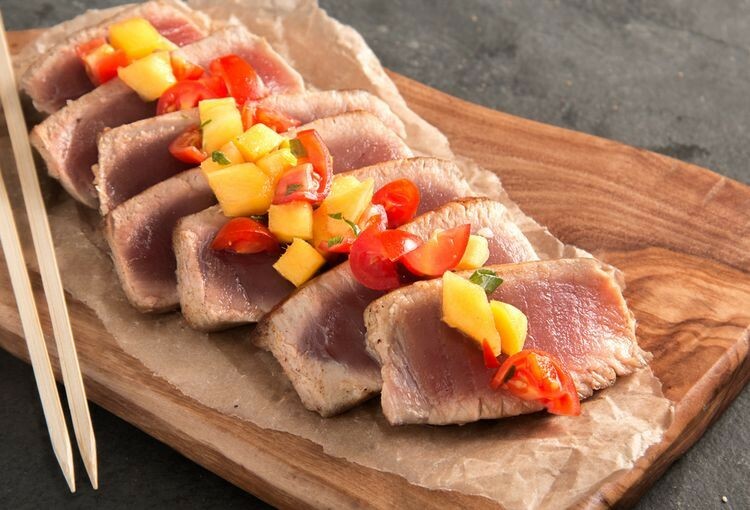 Place tuna steak 3-4 inches away from cooking source on a well-oiled grill rack and cook for 3-5 minutes, rotating steak half way for even grilling marks. Turn over and follow the same process. Remove from grill and let stand for 2-3 minutes before serving. 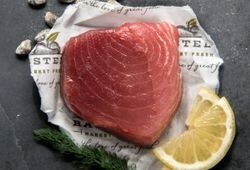 Oven: Preheat oven to 350*F. Lightly oil tuna steak. Season as desired. Place on nonstick baking sheet pan. Bake in oven for 10-15 minutes or until desired doneness is achieved.